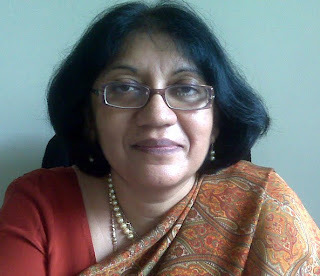 FIVE YEARS of RTI : An Interview with Ms. Nandini Sahai, Director, ICG, Goa Question - Does RTI proved its relevance and effectiveness in five year? How? Nandini - Yes RTI has proved its relevance. The bureaucracy is now living in fear and is tightening up and becoming more honest. It knows that public is getting aware about their rights and is running out of patience to bear corruption any more. Ordinary people now refuse to cower down before the system and RTI is now the weapon of people to fight injustice. Question - Some major examples, which you think the big icon or success of RTI. Nandini -There are many success stories of RTI but a major breakthrough and a milestone for RTI would have been if there were applications filed for the Common Wealth Games. I feel sad that the civil society has let corruption happen during this prestigious game preparation. They have allowed the organizing committee to siphon out money. This is the saddest defeat that has happened in the history of RTI. Question - How is common man empowered with RTI? Any one or two examples you think most quotable. Nandini - Common man is empowered by RTI and is using it to know how the government he voted for is performing. 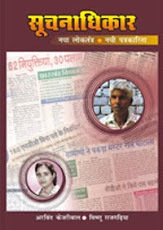 For e.g One such person is 30-year-old daily wage labourer Sadashiv from Banda district of Uttar Pradesh who secured grocery entitlement due to him on his ration card not only for himself but his fellow villagers after using the RTI tool to question the system. In the initial days after he submitted the application, the proprietor of the local ration shop sent hired toughs who beat him mercilessly, but his attempt to stand up against corruption paid off. Ashish Sinha, another labourer, filed an RTI about the number of days the local ration shop should be open. Infact the shops were open only once a week, when they are supposed to keep them open for five and a half days in a week. Armed with the RTI reply, Sinha hauled up to the nearest dealer and then eight dealers were questioned. The shops are now open four days in a week and the dealers have put up boards indicating the stocks and prices. In metropolitan area, the awareness level is still better and the condition of the government departments is still better. But examples of poor and uneducated villagers using RTI Act are commendable. Question - Has RTI affected the state of governance and created any atmosphere of Transparency and Accountability, as well as has it controlled the corruption? How? Nandini - Yes but to only a certain extent. Well this is just the beginning. Five years of RTI is a small time as compared to 60 years of secrecy in Indian Bureaucracy. I am optimistic as slowly the public is getting aware and are extensively using RTI to fight corruption without fear. Question - What are the major challenges and complications in proper implementation of RTI? Nandini - I would lile to point out the following 1. Awareness is needed which is still lacking in many parts of India. 2. Media has an important role to play in spreading awareness like for e.g a dedicated newspaper column or 10 mins regular TV program on RTI should be started in local language. 3. There was a blanket of secrecy for 60 years, from which the people are still to recover, especially the bureaucracy.. The civil society has to continue its struggle for the proper implementation of the RTI Act. 4. Poor record keeping and low levels of literacy and awareness of rights among the general masses are responsible reasons for continuation of regime of secrecy and unwieldy increase in corruption.